I have been practising dentistry for nearly 30 years. Originally from Warrington, I studied at Liverpool University Dental Hospital and graduated in 1986. During my time at the university I was awarded the Maclean’s prize for preventative Dentistry. Practice life began shortly afterwards when I was offered a position at Lowerbank in 1987. Due to my work environment and great team atmosphere I had a desire to make Lowerbank my professional home and become a co-owner in 1990. 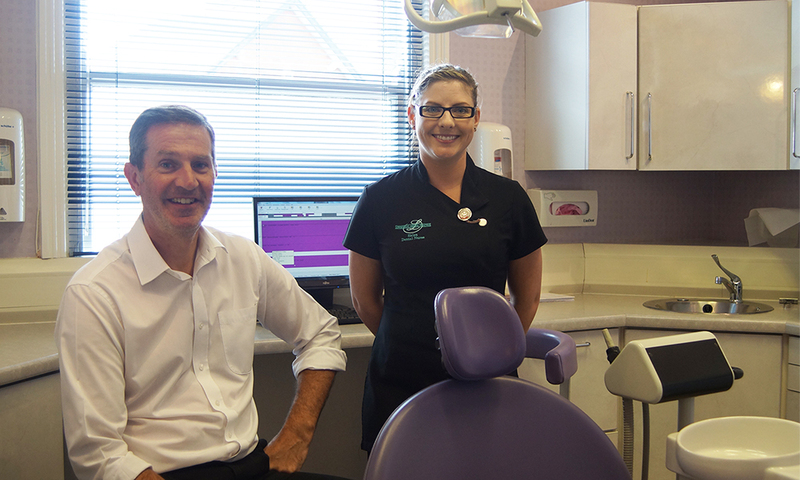 In 1996, following further study, I completed a one year implantology course at the Victoria Park Hospital in Manchester and have continued my professional development into many exciting new areas of dentistry. Away from work, home life is centered around my lovely wife Shirley and our son Ben – who brightens our life every day. In my spare time I am an avid gardener, lifelong Manchester United supporter (and yes I have been to Old Trafford) and absolutely passionate about Carp angling.